We’re sure you have a ton of excuses for why you need to go shopping … again. After all, you’re the master of holiday crowds, the trailblazer of bargain hunting, and queen of all things retail. But if you want an actual legitimate excuse for another shopping trip, how about picking up some winter accessories? You know, a few of those little touches of sparkle, softness, warmth, and shine that make the winter not so bleak. We’ve rounded up the top 10 must-have winter accessories based on the latest winter trends. It was hard work — not gonna lie — but with the help of fashion stylist Keylee Sanders and fashion editor Stephanie Rygorsky, we were able to narrow down the list to items every girl should wear this winter. From the newest and never heard of accessories (looking at you, snood), to staple cold weather items, like gloves and scarfs, every piece is guaranteed to keep you warm(ish) and looking good. And in case you don’t feel like trekking to the mall, we’ve included links to our favorite picks in a variety of price ranges. 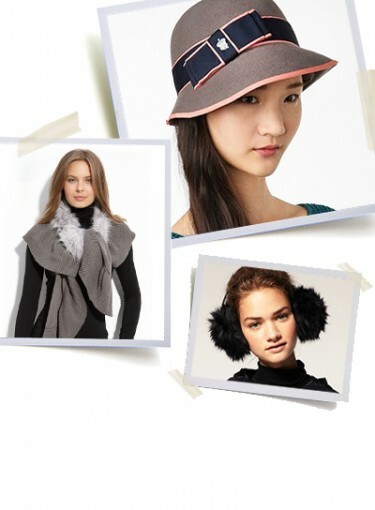 Click here for the 10 must-have winter accessories. Then, tell us: What’s your must-have winter accessory? Are we missing any on our list? Leave your answers in the comment section below.